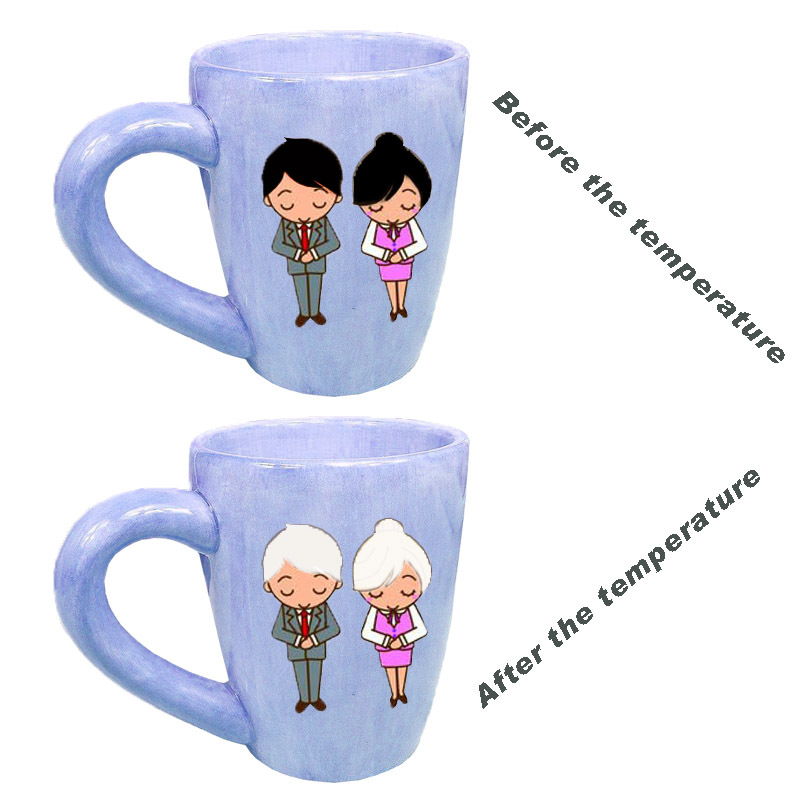 Sticker that will change color on ceramic cup, this is a kind of observable sticker changes, so as to understand the temperature of water, simple and convenient, high feasibility. 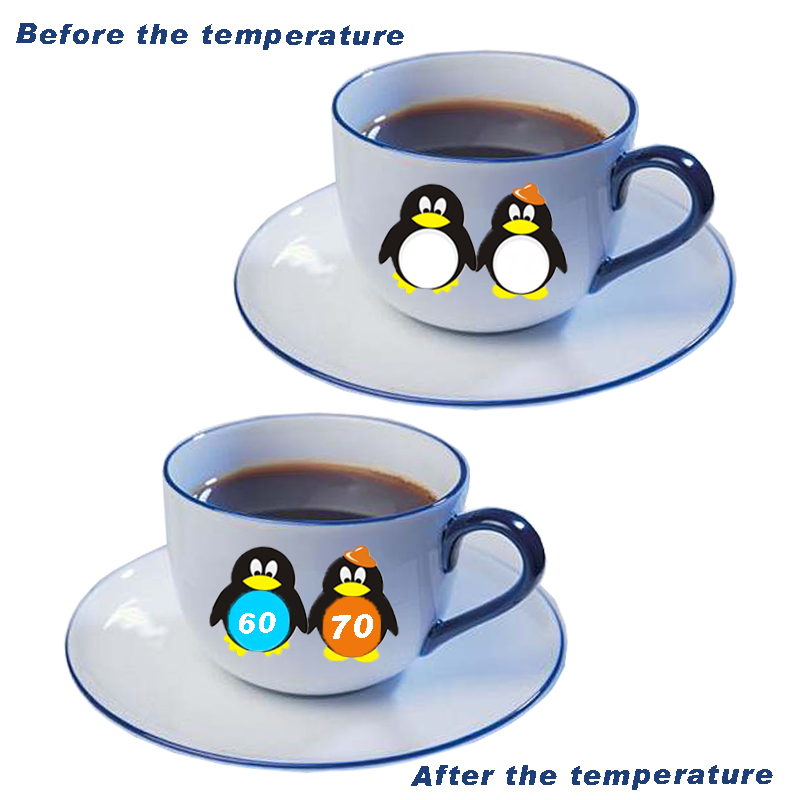 Colorless color change to colored label sticker on coffee cup are very sensitive to changes in temperature. You don't need to try it to see how hot the coffee is, how easy it is to operate, how easy it is to use, and how likely you are to get burned. White on water bottles become colored stickers are great, and if you use them, you'll find them magical and convenient. It's simply a treasure instrument in life. 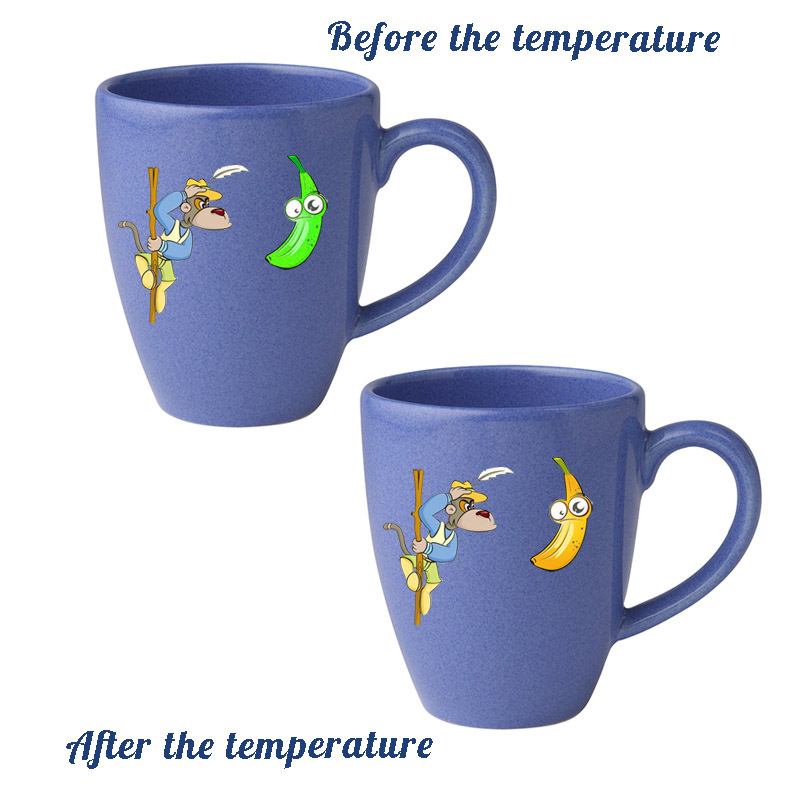 The cartoon sticker that can change the temperature will not only have the function of temperature and color change, but also can be used for decoration. Its subtlety: it can be used repeatedly. The degree of practicality is self-evident. Baby bottle thermosensitive sticker is a kind of thermosensitive sticker, if the milk temperature exceeds a certain temperature range, sticker will change the pattern or color, prompting parents, the bottle of milk can be given to the baby to drink. The traditional method is to use adult wrist temperature or mouth temperature measurement, which are inconvenient and unavoidable deviation, especially with the mouth temperature measurement, it is very easy to adult oral virus and harmful bacteria to children, forming secondary pollution. 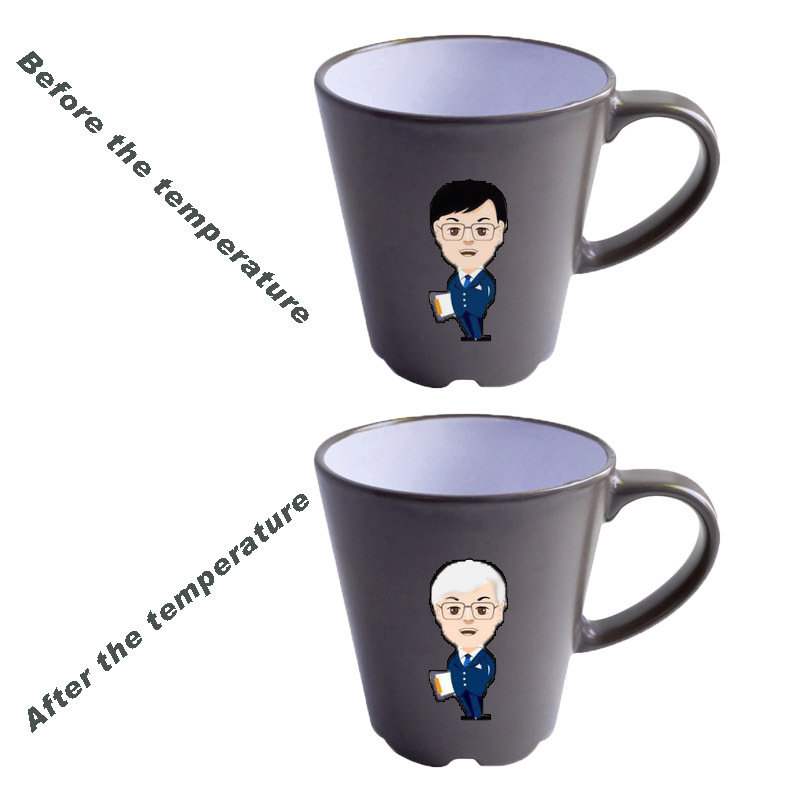 For the sake of infant health, a sticker with temperature sensitive color has been introduced. In addition, our company also has some other self adhesive labels. For example: water discoloation label, Anti-Counterfeiting Label, Security Label, Paper Barcode Label, Product label, Color Labels, etc. 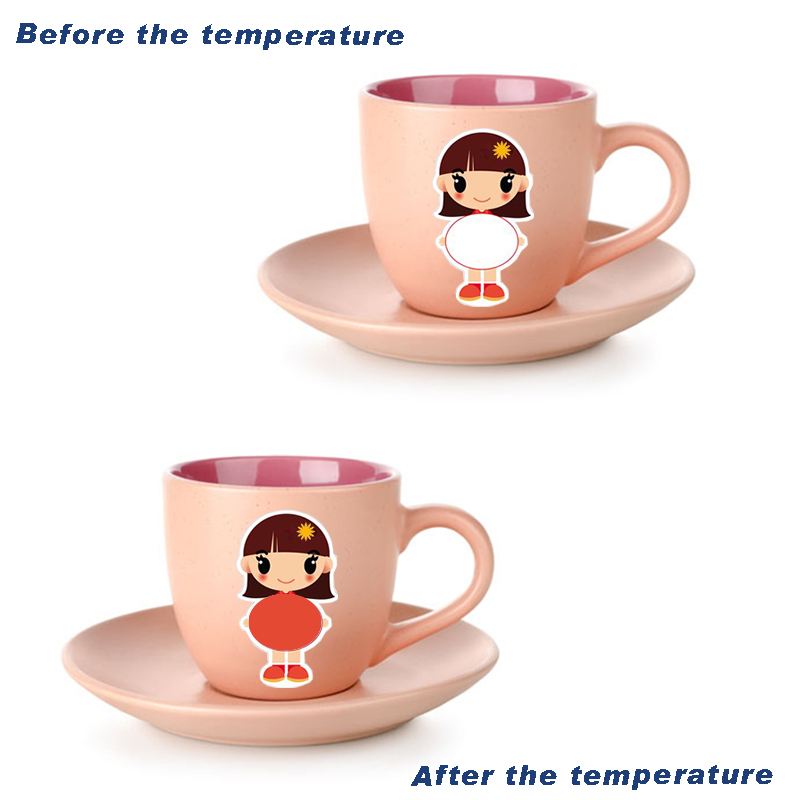 Looking for ideal Sticker Change Color on Ceramic Cup Manufacturer & supplier ? We have a wide selection at great prices to help you get creative. All the Baby Bottle Thermosensitive Sticker are quality guaranteed. We are China Origin Factory of White Become Colored Stickers. If you have any question, please feel free to contact us.